Celebrate Christmas in the Holy Land, where the Christmas story first took place. 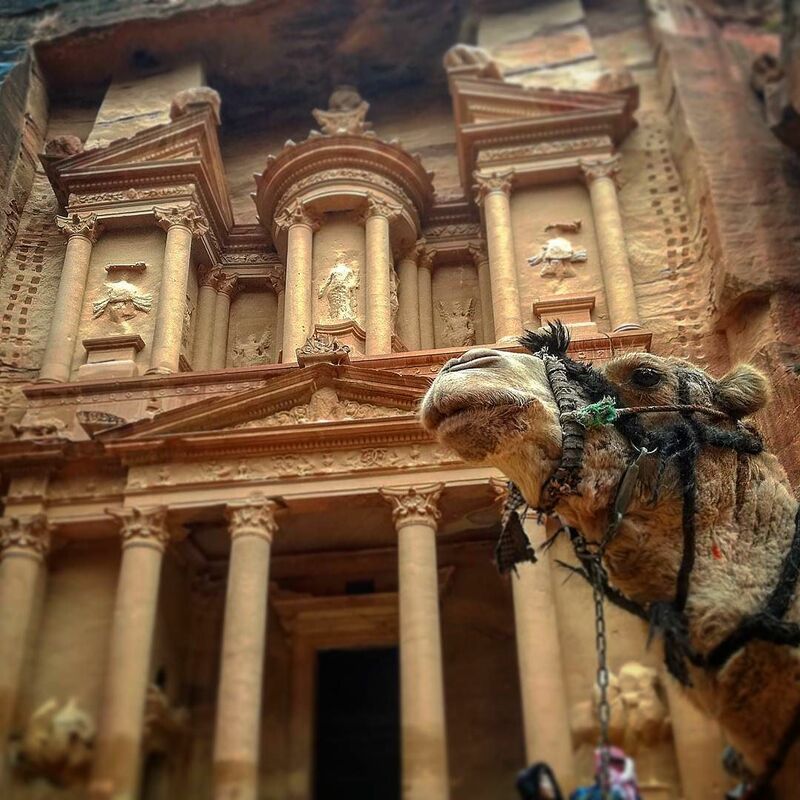 Explore historic destinations including Jerusalem, Petra and more at the most festive time of the year! 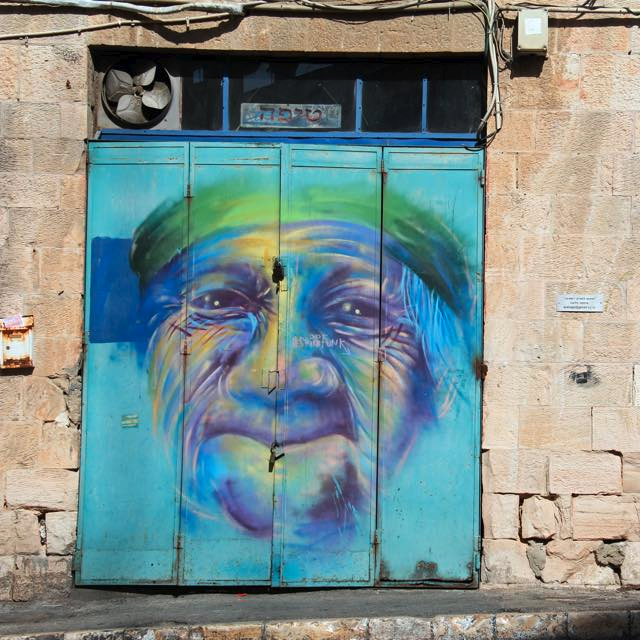 Israel and Jordan are colourful, cultural and spiritual havens - perfect for a festive and memorable Christmas. 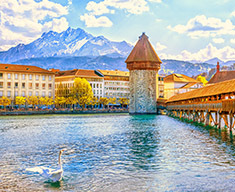 On offer are the very best travel experiences and destinations to explore. Kick off in the buzzing and vibrant Tel Aviv. Visit a number of spiritual sites, including the baptism site of Jesus. Enjoy a relaxing visit to one of the best resorts along the Red Sea. 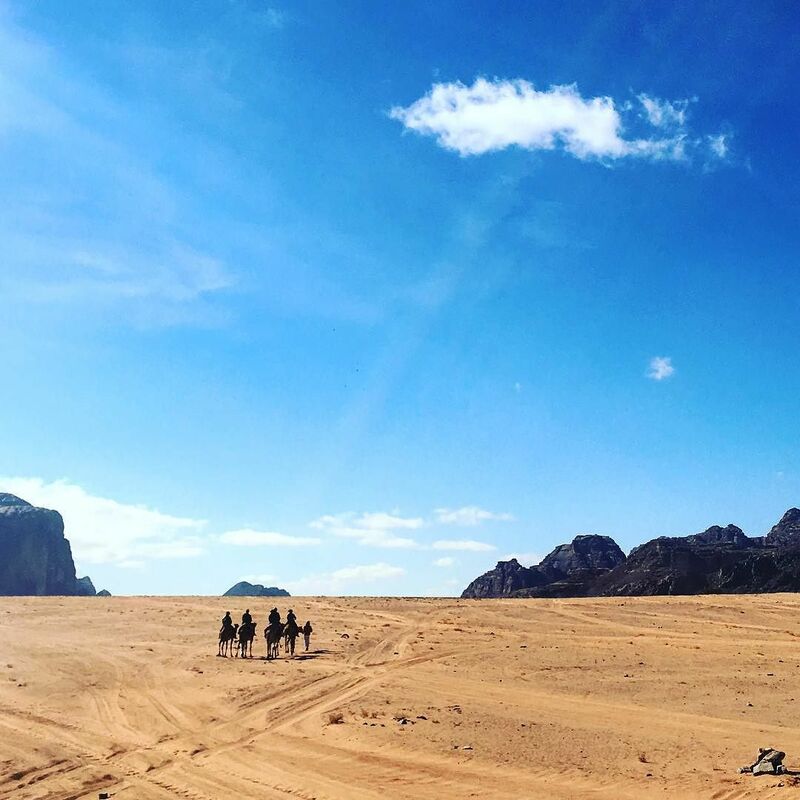 Spend Spend Christmas eve in a Bedouin camp in theWadi Rum desert! Float in the Dead Sea and visit the fishing village of Capernaum on the Sea of Galilee. 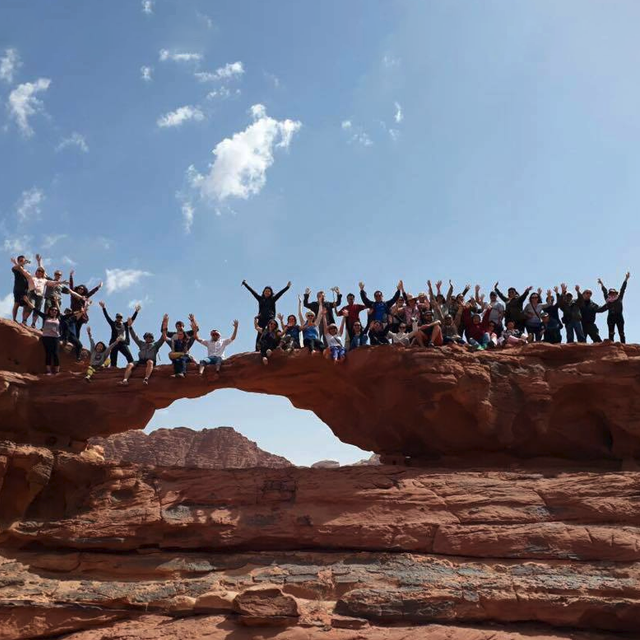 a dining experience in a Kibbutz in Israel, a jeep safari in Wadi Rum and relaxing in the Dead See. Spend Christmas eve on the shores of the Red Sea! 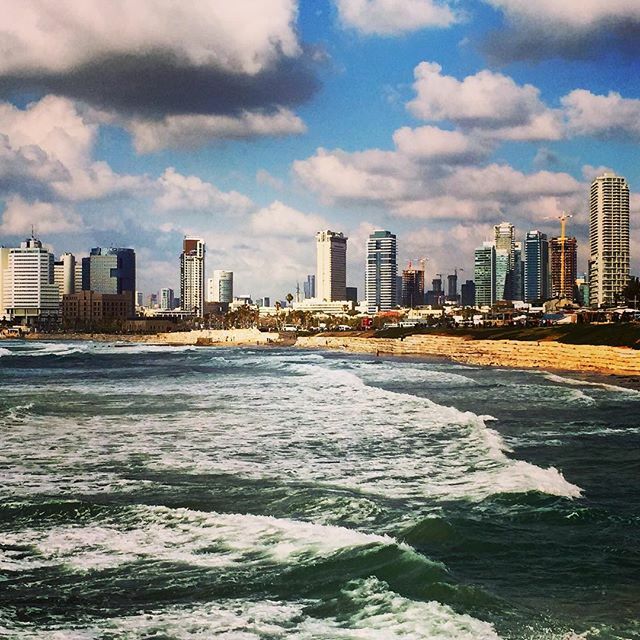 Welcome to the Middle East and Tel Aviv, the buzzing and vibrant city on Israel’s Mediterranean coast! Once you’ve checked into your hotel, the rest of the day is yours to explore the city. 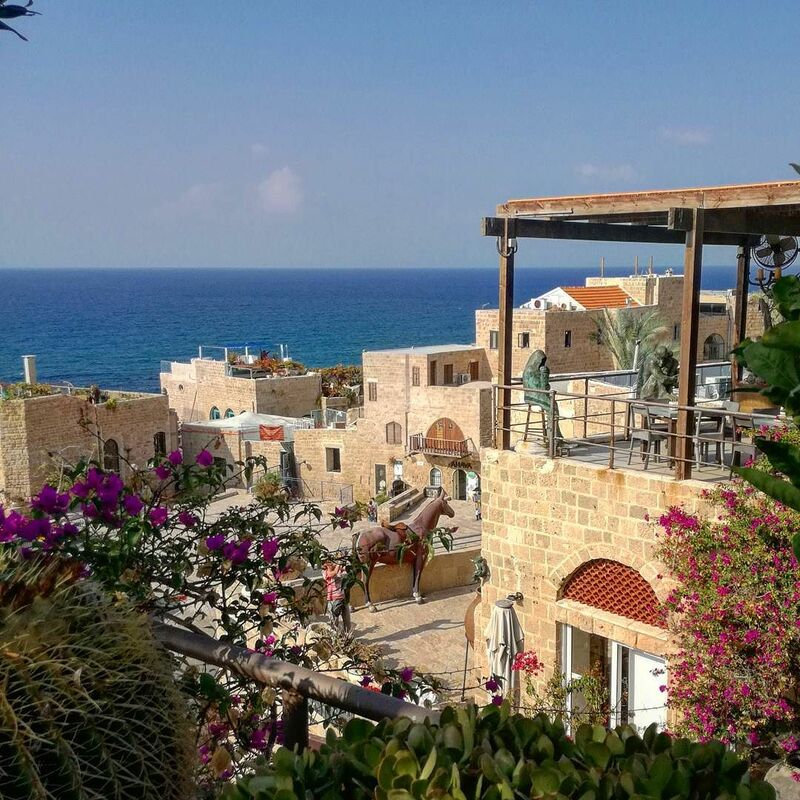 Marvel at the architectural sites, or sit back and relax at one of the little cafés that Tel Aviv is known for. At night, the city will come to life with twinkling Christmas lights and nightlife. Arrival. Check-in at the hotel and enjoy the rest of the day free to relax at the hotel or explore the city. If you have time to explore the city then sights include the Tel Aviv Museum of Art, Jaffa Port and Gordon Beach. With the added touch of the Christmas spirit and lights, the city is a sight to behold. After breakfast we head to the banks of the Jordan River Valley to Qasr el Yehud, the site where Jesus was baptised by John the Baptist. Leaving the religious site behind we drive through the Judean Desert, to Mount Masada. 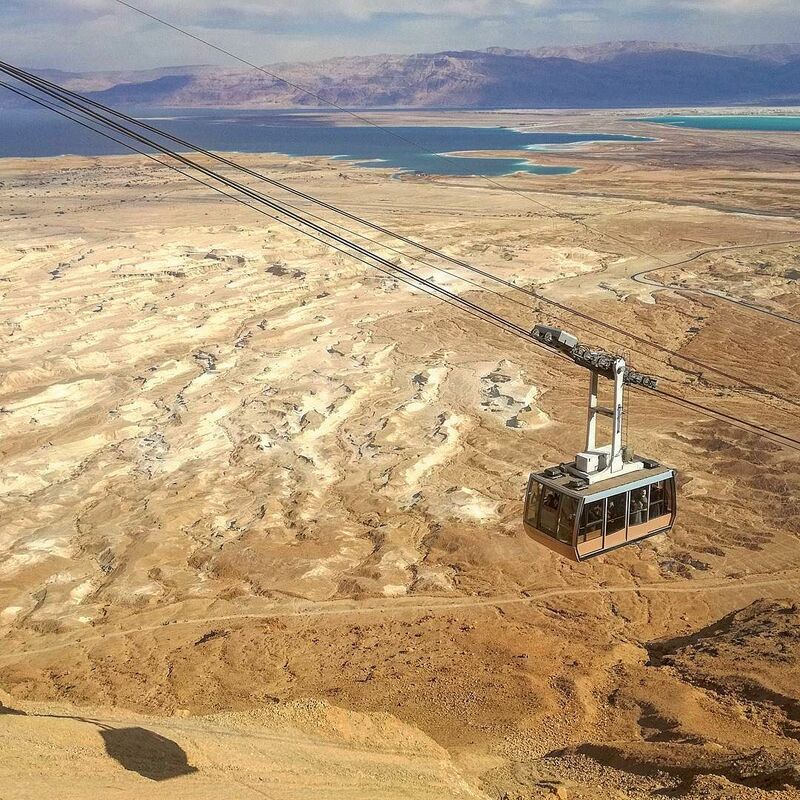 Enjoy the views of the Dead Sea below, and the panorama of the Moab Mountains in Jordan. We’ll spend the night in Eilat, where you can delight with an included dinner of local dishes at a traditional kibbutz - a true Israeli experience! Eilat, Red Sea Resort. 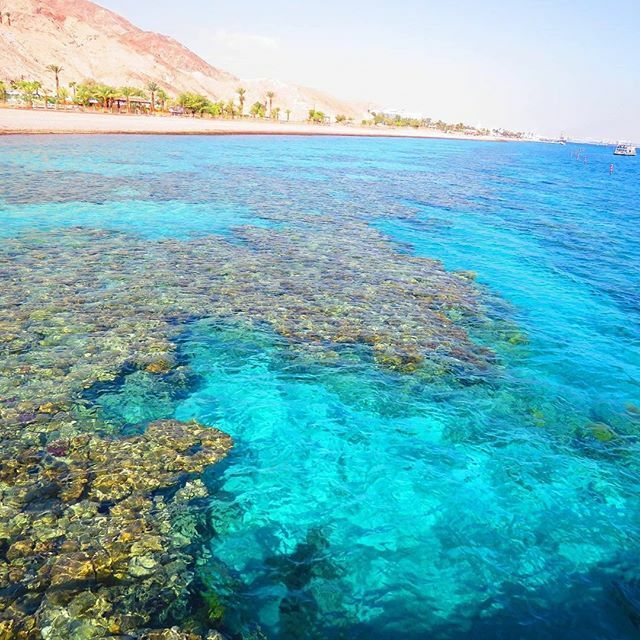 One of the most popular resorts along the Red Sea, Eilat is a thriving destination. After a long day of exploring, we have the chance to relax and wind down with a sundowner at the seaside resort. Dinner in a Kibbutz. Based on the idea of communal living and sharing, a ‘Kibbutz’ shares its money and resources between its inhabitants. The word ‘Kibbutz’ comes from the Hebrew word kvutza, meaning ‘group’. This type of settlement is unique to Israel, and provides a real experience of local life as you dine on traditional dishes with the residents of the Kibbutz. It’s Christmas Eve and you get to enjoy it on the shores of the Red Sea! Walk along the beach or go diving in the clear blue waters. Timna Park and Dolphin Reef are also perfect ways to pass the time before celebrating tonight. The Underwater Observatory is also an unforgettable experience! Keen to explore further afield? Head to the Red Canyon hiking trails to explore the mesmerising red rock canyons. There are trails for every fitness level. 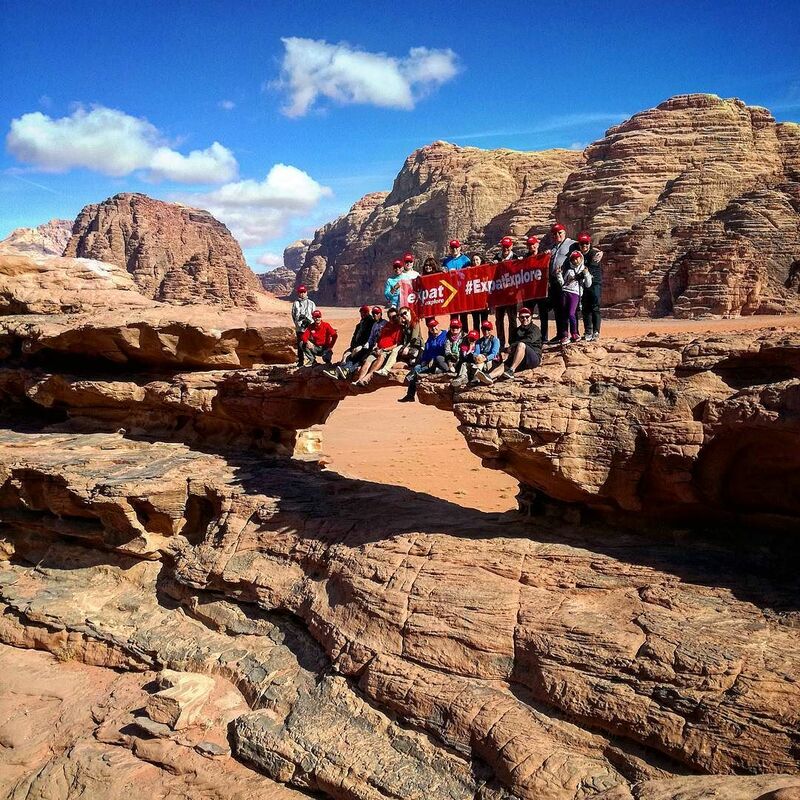 It’s Christmas Day and we’re heading to Jordan and it’s incredible natural landscapes! The first stop is the port city of Aqaba, famous for its bustling Arab marketplace, or ‘souk’ as its locally known. It’s the ideal place to buy some festive souvenirs. Get ready for the highlight of the day as we jeep safari into the Wadi Rum desert. 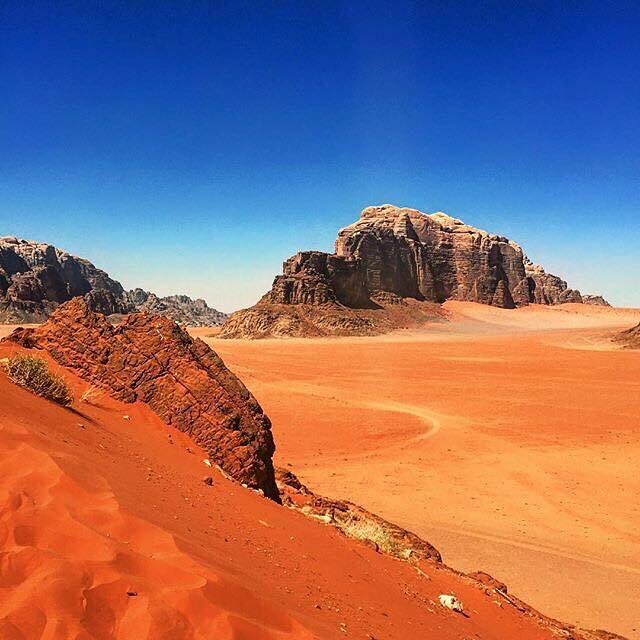 The local Bedouin drivers will show us the epic lunar landscape where movies like “The Martian” were filmed. Tonight we stay in a Bedouin camp - settle down to a dinner of traditional Bedouin and Jordanian dishes and celebrate Christmas together around a campfire under the stars. Aqaba. Enjoy some free time to wander round the vibrant traditional souk, where you can buy gifts for your friends and family back home. Overnight in Bedouin camp. The nomadic tribes and clans of the Middle Eastern deserts are known as Bedouins. The Wadi Rum Bedouin Camp offers visitors the chance to experience the traditional way of life of these camel and goat herders. It’s in this very desert where Lawrence of Arabia fought alongside the Bedouins against the Ottoman Empire during WWI. 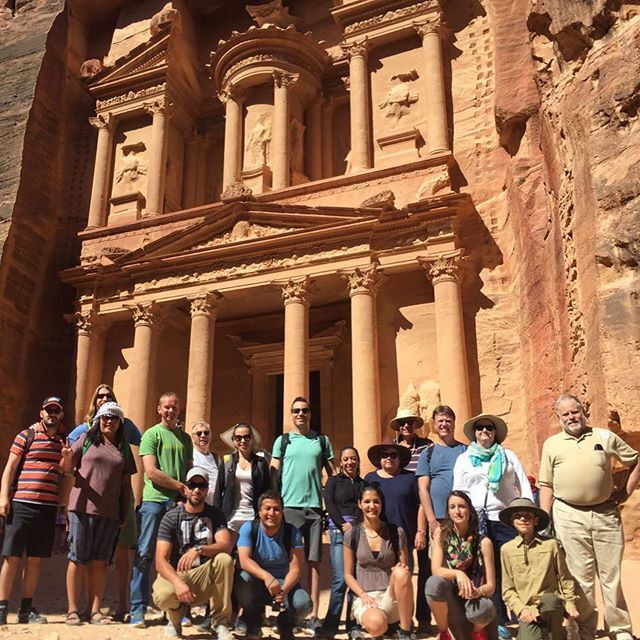 Set off on an adventure to explore the ancient site of Petra, known as Jordan’s most popular archaeological site. 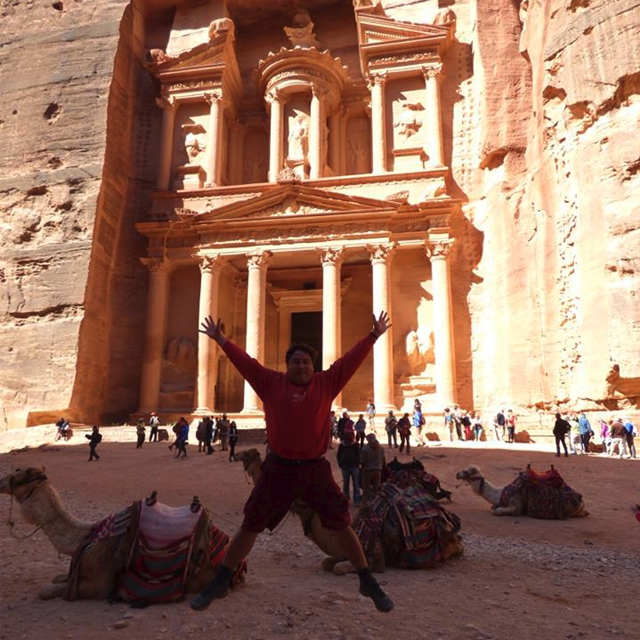 Petra is also one of UNESCO’s 7 Wonders of the Ancient World. Its fame reached new heights when it was featured in the movie Indiana Jones. 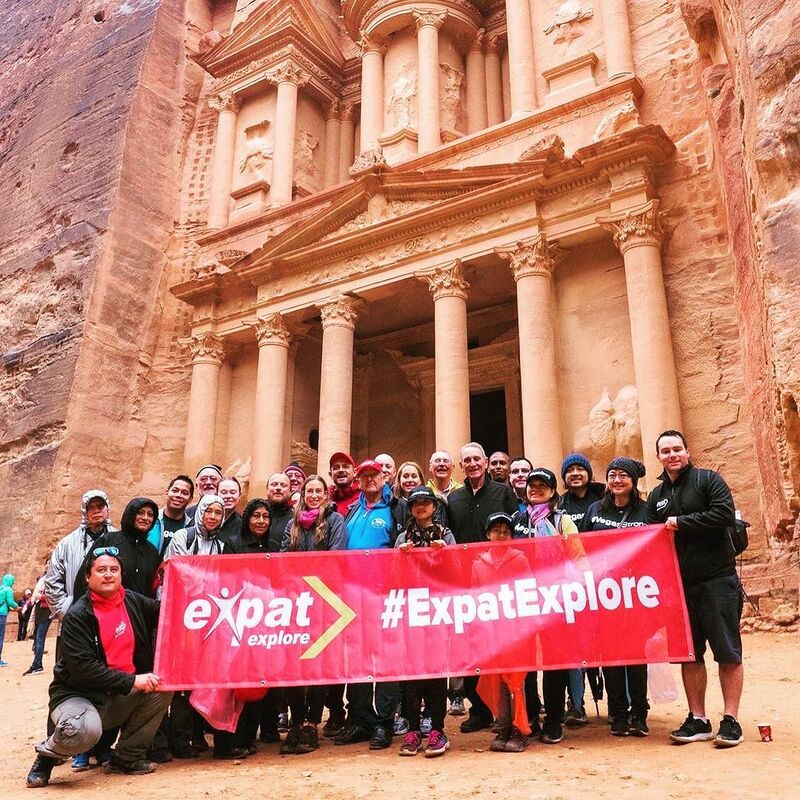 We’ll discover the many tombs and temples carved into the pink sandstone cliffs, including the star attraction, The Treasury (Al Khazneh). We’ll sit down to a traditional lunch before we travel on to the Dead Sea. 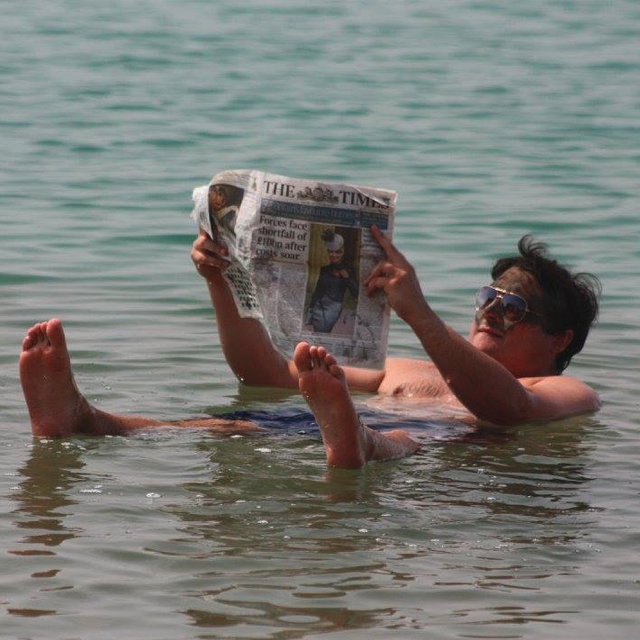 With the high content of salt, the Dead Sea gives swimmers the feeling of weightlessness and you can even lie back and read a book! This evening we’ll have free time to explore the capital, Amman, our overnight destination. Overnight in Jordan’s capital, Amman. The vibrant city of Amman has the perfect mix of intriguing history and modern appeal. Wander through the bustling souks and sip on a coffee in one of the many coffeehouses. The centre of downtown Amman is home to the Citadel. Within this iconic structure you’ll find the Temple of Hercules and the Umayyad Palace. Jerash dates back to the Roman times and is one of the largest archaeological sites in the Middle East. We enjoy a local lunch in this historic place, before crossing over to Israel and visiting the Sea of Galilee. A highlight of our Christmas tour, this freshwater lake is an important pilgrimage site for Christians. Capernaum is our next destination, this fishing village is believed to be the site where Jesus performed his Biblical miracles. We then overnight in Nazareth or Tiberias. Capernaum on the Sea of Galilee. Referred to as ‘the town of Jesus’ in the Bible, Capernaum is a sacred pilgrimage site. 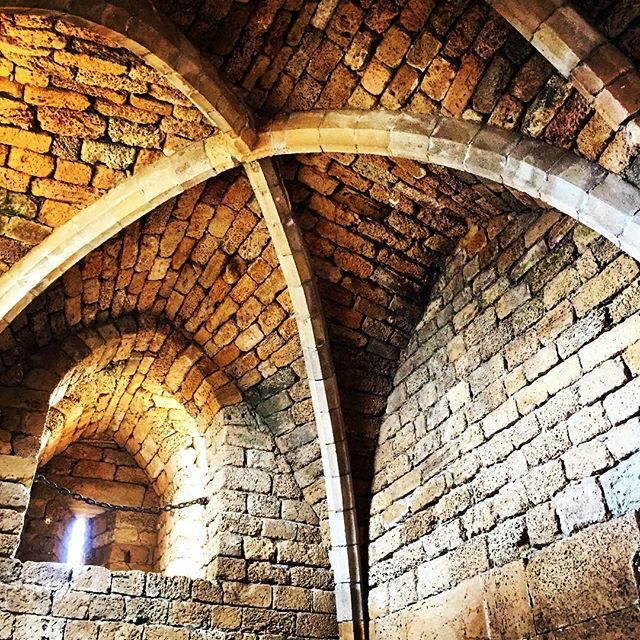 You could visit the ancient synagogue where Jesus famously preached, or the Franciscan church, a modern hexagonal structure that provides views of the church and house of Peter. First up today is Nazareth, the city said to be the childhood home of Jesus. The city is famous for its religious significance and for the numerous architectural sites. Then, we head to the coastline and the beautiful port town of Caesarea. This was built as an important port on the Mediterranean coast by King Herod, and later became the capital of the Roman Judea province. We highly recommend that you make your way to the Caesarea amphitheatre. It’s one of the oldest in the eastern Mediterranean! This afternoon we’ll take a city tour to explore urban Tel Aviv and Jaffa, the ancient port city that inspired the biblical story of 'Jonah and the Whale'. This evening we overnight in Jerusalem. Nazareth. The Old City is the biggest draw as it takes you back to the time when Jesus’ mother Mary would’ve lived here. Within the old buildings you’ll find the traditional Arab souk, with locals serving freshly brewed coffee. Sites in the area include the Basilica of Annunciation and the Basilica of Jesus the Adolescent, the White Mosque and the Ancient Baths. Tel Aviv & Jaffa city tour. The iconic Rothschild Boulevard and Ilana Moore Museum are some of Tel Aviv’s highlights that are not to be missed. The ‘Mediterranean Capital of Cool’ is how Tel Aviv has come to be known and you’ll definitely see why! Jaffa is the port city famous for the tale of Jonah and the Whale. In Jaffa be sure to explore Ramses II’s Gate Garden and Saint Peter’s Church. Marvel at the clock tower that was built in honour of Turkish Sultan Abdul Hamid and capture some photos of the old Armenian monastery. Start the day in Bethlehem, with a guided tour of the city where Christians believe the Nativity of Jesus took place and the Christmas story began. Top sites include the Church of Nativity and the beautiful Shepherds’ Fields. Catch a glimpse of the Banksy wall on the Israeli West Bank Barrier. 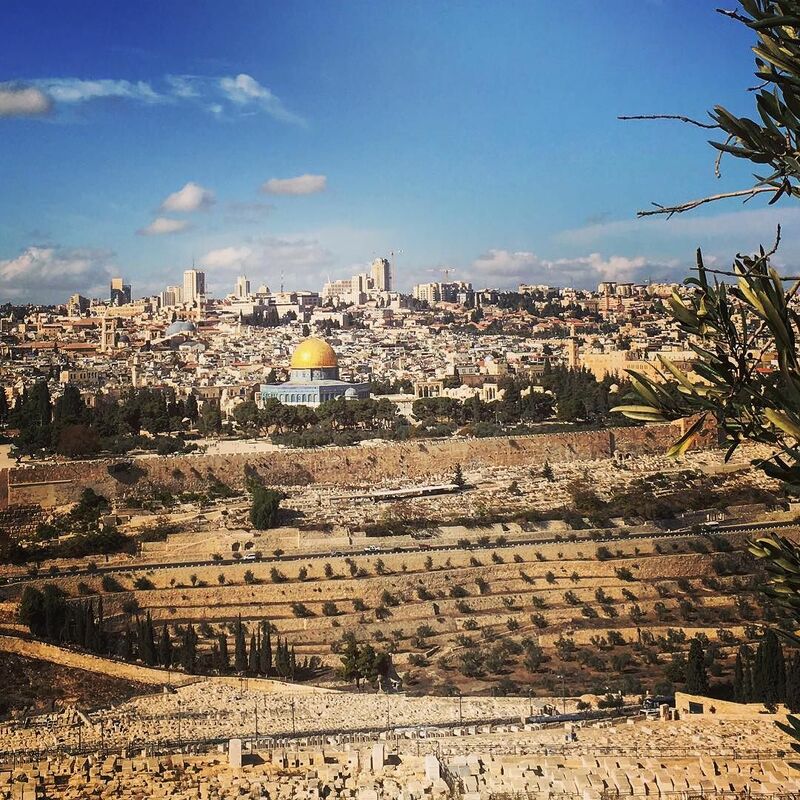 View the City of Gold from the Mount of Olives and wander through the Church of All Nations. Onwards to the Old City of Jerusalem, a destination that is home to more religious sites than any other square kilometre in the world! Visit the Wailing Wall, Mount Zion, Via Dolorosa and even more! 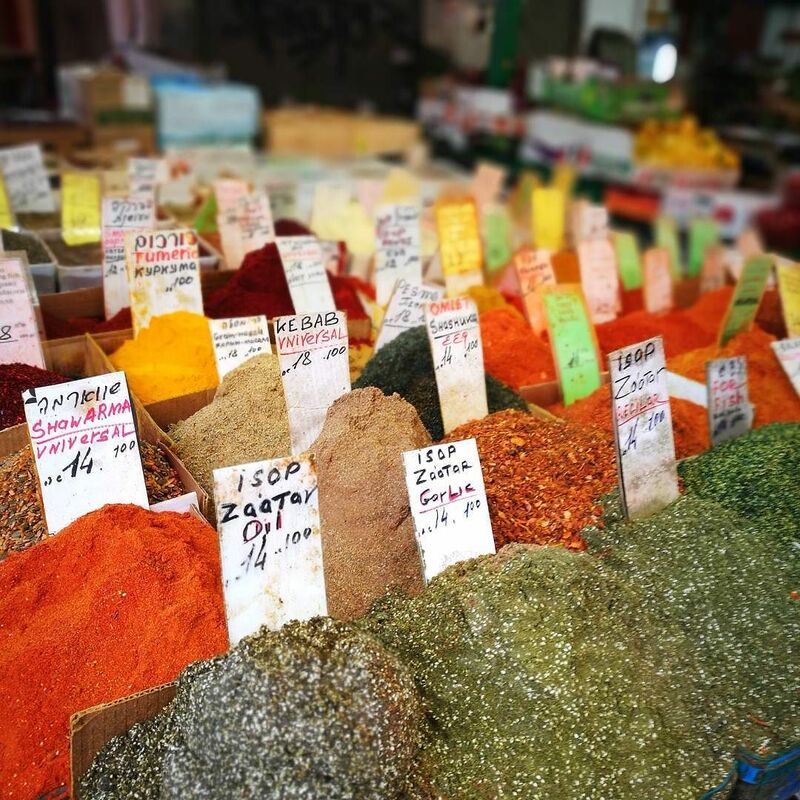 End the day back in Jerusalem, where you’ll have the evening free - we recommend visiting the Yehuda Market. Look for some of the Christmas time delights like Mamoul cookies (butter cookies) or Ghraybeh, Middle Eastern sweet shortbread. Bethlehem. Said to be the birthplace of Jesus, Bethlehem is a significant Christian pilgrimage destination. The Church of Nativity dates back to the 6th Century and has been declared a UNESCO World Heritage site. The Shepherds’ Fields are said to be where the shepherds encountered the angel in the biblical tale of Jesus’ birth. Views of the Banksy wall. Banksy is a famous street artist from Britain. His art has caused a stir all across the world and when he visited Israel in the early 2000s to meet with Palestinian authorities, it was no exception! Mount of Olives. Acting as a natural barrier between the Holy City and the Judean Desert, the Mount of Olives gives breathtaking views of the city and surrounds below. This is where the desert starts, and it ends at the Dead Sea. The Church of All Nations is found here, located next the Garden of Gethsemane. According to the biblical lore, the garden is said to be where Jesus prayed before his arrest. Jerusalem. 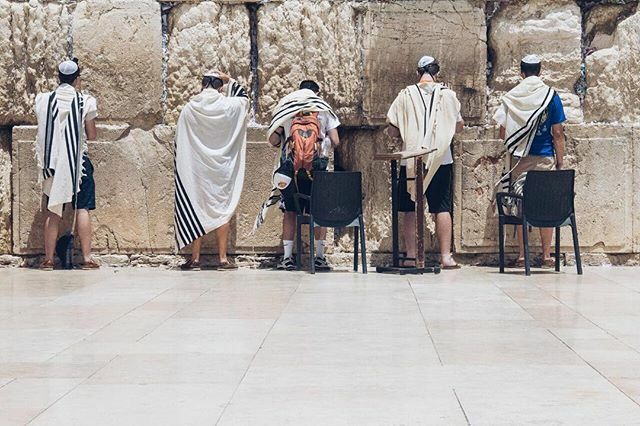 A place of significance for Jews, Muslims and Christians, Jerusalem is abound with famous sites, including the Wailing Wall (also known as Western Wall) and the Via Dolorosa. The latter is believed to be the path that Christ walked to his crucifixion. A free day to take your time to explore! Jerusalem has been described as one of the most spiritually intense destinations in the world. It's a holy land for Christians, Muslims and Jews alike. After spending time in the old city yesterday, you can head out to some of the other big attractions today. The Israel Museum is a must-see and is one of the top archaeological and art institutions in the world! We also recommend Yad Vashem, the World Holocaust Remembrance Center, the 9/11 Memorial Plaza and Gardens of Gethsemane. Of course the iconic Tower of David is also well worth a visit. Your tour of Israel and Jordan has come to an end. After breakfast we say our farewells! We hope this has been one of the most memorable Christmas’ yet! Your tour ends in Jerusalem after breakfast. Make sure to exchange contact details with your new-found travel friends. 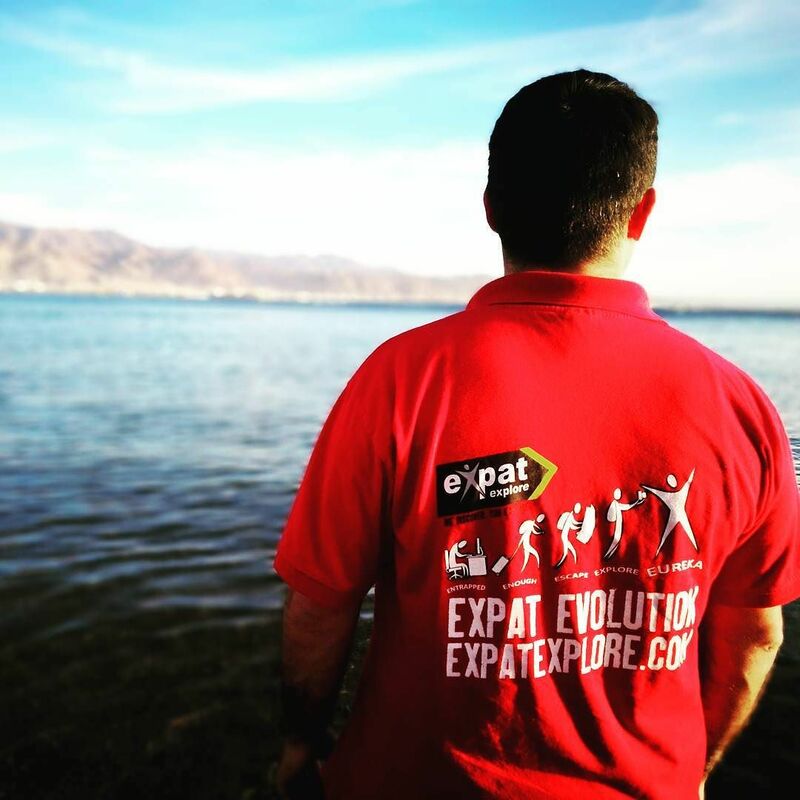 Share your amazing tour memories with us on social media using the hashtag #ExpatExplore!